In 2012 and 2014 I graduated respectively with a Bachelor and Master degree in Electronic Engineering from the Polytechnic University of Tirana. 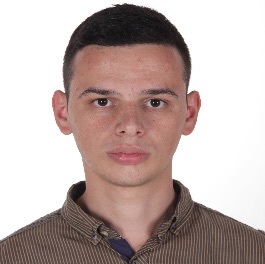 Considering my increasing interest in the medical field and in Engineering, during the studies in Albania I decided to apply for another Master as an Erasmus Mundus student in Biomedical Engineering (Common European Master Course in Biomedical Engineering – CEMACUBE), in which I got accepted. As an Erasmus Mundus student, I finished the first year of my second Master in Ghent University & VU Brussels University – Belgium (2014-2015), and the second year in RWTH Aachen University – Germany (2015-2016). Upon graduating I obtained two more Master degrees from both universities (UGent and RWTH Aachen University). By the end of my graduating process I joined Julio Saez-Rodrigez team at JRC COMBINE center in Uniklinik RWTH Aachen as a PhD student/Early Stage Researcher. The group is part of SyMBioSys, an ITN training network representing an interdisciplinary joint effort of modellers, systems and software engineers, as well as experimentalists and intends to address the challenges mentioned by providing an innovative research and training program for young researchers. A complex world needs models. Models are methods used to simplify complex system. If we consider a system as a group of objects whose properties we want to study, then the best model is the simplest one which allows us to make accurate predictions when changing one of it’s parameters or state of an object. Biological systems especially, are very complex and thus even considering the last advancements in computational technology; we need to develop new tools and methods to deal with such complexity. My research interest on this group consist on applying and exploiting advanced methods of dynamic optimization techniques for the identification of large signaling models giving insight to the functional understanding of cellular networks and pathways, how these networks are affected by the deregulation processes (such as oncogene deregulation) and how this can help on the development of the new drugs.